We have a winner! According to this Chribba dice, the winner is Euclid Motorhead! The runner ups were Growler Dude and The Chrysi. Thank you to everyone who participated, and best of luck next time! Prizes have been contracted to the winners and are ready to be claimed. Enjoy! UPDATE: Quafe Megathron skin giveaway & more! Yesterday during fourth episode of the "o7" show, CCP was giving away 30 codes for Megathron Quafe Edition skin (the same one that I've drawn using Rixx Javix hints). But I think one of you, my dear space friends, will put it to better use than I would, so I'm giving it away! To enter the raffle, simply comment under this post until 23:59, January 22th. Winner will be chosen randomly next Friday, Jan 23. Make sure to include your in-game name, so I can contact you regarding the prize. P.S. Tech I Megathron is not included - you will need one to apply the skin to. P.S.2. A little change of plans. I won't be available this weekend, so I'm shortening the giveaway so the winner will be announced on Friday. Three weeks ago my site has hit another visit milestone, and I've started this giveaway to celebrate with you! Contracts will be up shortly. Thank you everyone for taking part in the giveaway! 200.000 visits. One More Thing. And a Navy Mega Ship giveaway! About a year ago I was celebrating 100.000 visits to my blog. It took about 1,5 year to get there. This year, even though I had a blogging break in summer due to external factors, my blog has doubled the number of visits in less than a year! As a thank you I will be giving away 1x Megathron Navy Issue, 1x Rattlesnake and 1x Sacrilege. How do you enter the draw? Simply leave a comment using your in-game character name (this way I will know who to contract the prize to). The giveaway will end on November 18th, 23:59 eve time. After the extended downtime on the 19th, Chribba dice will determine the lucky winners. I did apply as a fansite some time in summer, mainly to reach more people. Unfortunately there was no reply to my application, but I didn't care much about it. After all I've created this blog for others to read, and not for publicity. I have to deserve my right to be in such a great company, so there will be changes and new things coming to Archives - stay tuned. One more reason for celebration! Navy Mega gets one more Faction Battleship friend 😉 Plus something cruiser-sized for those, who prefer smaller ships. Dominix Navy Issue has finally found a new hangar! This morning Chribba's dice have chosen another winner in my 100.000 visits giveaway! 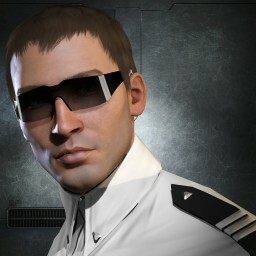 Alstevar Eastern has partaken in one of the live Incursions back in 2011 and is one of the pilots, who laid their blow on Slave Nakri's Chimera-class carrier in New Caldari. I'm pretty sure Dominix Navy Issue will be a great tool to help Alstevar against endless hordes of Sansha's ships! Intaki Syndicate Catalyst has a new owner! The dice have been cast, and we have the first winner in the 100.000 visits giveaway! It's worth mentioning that Mark writes an excellent blog: EVE Travel, make sure to drop by. I'm certain you will be amazed by the amount of special places in New Eden that you can visit. Mark is also the author of EVE Lore Guide on Freebooted, which is a very good read if you are into roleplaying. PS. Dominix Navy Issue is still looking for a new home, so stay tuned! AchiEVEment unlocked: 100.000 visits. Win a rare Intaki Catalyst or a Navy Domi! I have noticed yesterday, that I have just broken the 100.000 visits* count, since July 2011. * The number is a bit inaccurate though, because I've started this blog on March 5th, 2010. I did not care about Analytics much for more than a year, because I thought the amount of traffic I was getting was low anyway. A simple linear approximation gives the number of 21.640 visits before turning the Analytics on. Traffic profile for a start-up website is rarely linear, so this estimation is most likely higher than the actual number would be. I guess this achievement needs another ship raffle 🙂 You have most likely already noticed the new Catalyst variants. Some of them sell in Jita for 165M, some sell for up to 500M ISK. The ship is currently quite rare and is worth around 300M ISK. How to win these shiny ships? 1. Write a comment under this post about what keeps you attached to EVE Online. 2. The comment must be at least 10 (ten) words long. 3. Use your character name or Twitter login so I know who to contract the ship to. A plaintext file with nicknames will be created in the order the comments have arrived, i.e. first valid comment is ticket number one, second valid comment is ticket number two, and so on. Then the Chribba dice will be used to pick the winner. As many of you know, Math.random() returns a pseudorandom number between 0 and 1. Ten people commented under the post, so we need a range from 1 to 10. We have to multiply the output by 10 and add one, so the output range starts with 1. The last step is to truncate the fraction part. We can do it with the Math.floor() function. The winning number is 8. Congratulations! I have contracted your ship to you in the game.